You were injured or contracted a disease while working (permanent or casual), training or completing an apprenticeship. You lost a family member who died on the job. You’re a domestic worker in a boarding house. You’re an apprentice or trainee farm worker. You’re a worker paid by a labour agency. A domestic worker employed at a private home. A member of the South African National Defence Force (there is a separate fund explained in the Defence Act 42 of 2002, Chapter 9). A member of the South African Police Services (there is a separate fund). The claim is made more than 12 months after the accident or death, or after the disease is diagnosed. You are off work for three days or less. The accident resulted from your own wrongdoing (unless you’re seriously disabled or die in the accident, the fund will still pay compensation). You unreasonably refuse to have medical treatment. Who pays into the fund? Employers pay into the Compensation Fund once a month. You do not pay anything towards the fund. Employers can’t deduct money from your wages as contributions to the fund. 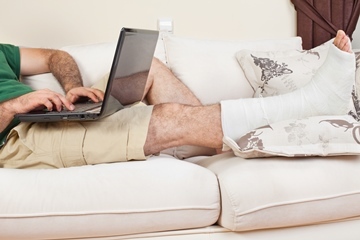 Which injuries and diseases are covered? The fund covers occupational diseases and workplace injuries. The working conditions and diseases caused by these conditions that are covered by the Compensation Fund are set out in Schedule 3 of the Compensation for Occupational Injuries and Diseases Act (130/1993). You can claim for other diseases if you can prove using medical evidence and reports, that the disease was caused by conditions at work. You can’t claim for pain and suffering, only for loss of movement or use of your body. All your medical expenses will be paid for up to 2 years, from the date of the accident or the diagnosis of the disease. 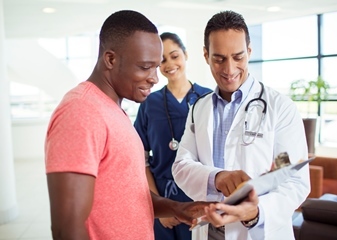 You are free to choose a medical service provider you want to consult with. All medical accounts should be submitted to the Commissioner, including fees for transporting you to a hospital or to your home. Temporary disability is when you’re unable to work or can’t do all your work because of an injury or disease, but you will get better. To claim, you need to be put off work by a doctor for more than 3 days. If you’re put off work for longer than 3 days, you will get paid out for the whole time that you’re unable to work (including the first 3 days). If you can’t work at all, you’ll get paid out 75% (three-quarters) of your normal monthly or weekly wage. If you can only do some of your work, you will still get paid some wages by your employer. The fund will pay you 75% (three-quarters) of the difference between what you got paid and what you would’ve been paid before the injury. A permanent disability is an injury or illness that you will never recover from, for example, losing an eye. The seriousness of the disability will determine whether you’ll never be able to work again or whether you’ll find work more difficult. Disabilities are rated from 100% to 1% depending on the seriousness. For example, a 100% would be the loss of both your hands or the loss of your sight. The loss of your small toe is a 1% disability. Your doctor will write a medical report about the disability. The Commissioner and various other doctors will then decide how serious the disability is. If the disability is more than a 30% disability, you will get paid a monthly pension. The size of the pension depends on what your wages were and on the seriousness of the disability. If you have a 100% disability you will get paid 75% (three-quarters) of your wages. If the disability is less serious, the Commissioner will work out the monthly payment. The monthly payment will be paid for the rest of your life. If the disability is less than a 30% disability, you’ll get paid a lump sum. The lump sum payment is a once-off payment. If a family member that earns money to support the family (breadwinner) is killed by an occupational injury or disease, you can claim from the fund. The amount of compensation that you’ll be paid depends on your relationship to the person who died. The total amount paid to the family can’t be more than the pension the dead family member would’ve received. The spouse of the deceased and children under the age of 18 (including illegitimate, adopted and step-children) are entitled to compensation. If there’s no spouse or children, other dependents, like parents, will be paid compensation. Inform your supervisor or employer as soon as possible (verbally or in writing). Make note of anyone who witnessed the accident. The form that needs to be completed is WCL 2: Notice of Accident and Claim for Compensation. Your employer must then report the accident to the Compensation Commissioner, even if they don’t believe your story, by submitting Form WCL 3: Employer's Report of Accident. The employer must report a workplace injury within 7 days or within 14 days of finding out that you have an occupational disease. You should check that all the details on the form are correct. Within 14 days of seeing you, the doctor must fill in form WCL 4, stating how serious the injury was and how long you are likely to be off work. This is sent to your employer, who sends it to the Commissioner. You don’t pay for the doctor's fees but if you want a second opinion, you’ll have to pay for this. If the injury will take a long time to heal, the doctor must send a progress report (WCL 5) to the Commissioner every month until the condition is fully stabilised. This informs the Commissioner of how long you’ll be off work. Finally the doctor must submit a final doctor's report (WCL 5) stating either that you’re fit to go back to work or that you’re permanently disabled. The doctor must send this form to the employer who sends it to the Commissioner. When you go back to work, your employer must send a resumption report (WCL 6) to the Commissioner stating that you’re back to work and how much you were paid in compensation. Both you and your employer should keep copies of all the forms. When the first doctor's report has been submitted with the accident report, the Compensation Commissioner will consider the claim and make a decision. A claim number will also be allocated. This number should be used for all paperwork relating to a claim. If you disagree with the decision, they can appeal the decision within 90 days by submitting form W929 to the Commissioner. The Compensation Commissioner is appointed to administer the Fund and approves workers' claims. You get money from the Fund and not from the employer. BUT the employer has to pay you for the first 3 months after the injury was sustained. The Compensation Fund will pay the employer back. If you’re off for more than 3 months, the Compensation Commissioner takes over the monthly payments. 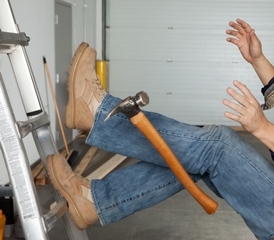 If the employer has insurance against workplace injuries then the insurance company will pay the compensation. In these cases, claims are still made to and decided by the Compensation Commissioner. NB: Payment of claims can take a long time to process.